Jeremy Corbyn, the leader of the United Kingdom's Labour Party, attended a 2012 conference with senior officials from the terrorist group Hamas. Corbyn hosted a panel at the conference with senior Hamas official Husan Badran, former Hamas political leader Khaled Meshal, and convicted terrorist Abdul Aziz Umar, the Telegraph reports. After the kidnapping of Israeli soldier Gilad Shalit, Badran and Umar were released from Israeli custody in exchange for Shalit. Their involvement in terrorist attacks led to the deaths of at least 100 people. During the conference in Doha, Badran said "the return will only be viable through military and armed resistance and nothing else." "I met many of the brothers, including the brother who's been speaking here . . . when I was in Doha earlier this year," Corbyn told an Iranian news channel after the conference. This is not the first time Corbyn has associated himself with Islamist terrorists. 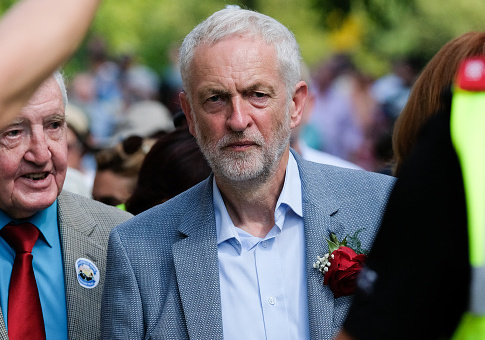 In 2014, Corbyn met with the leader of a terrorist group that carried out a deadly attack on a synagogue and also attended a 2014 memorial service for the terrorists behind the killing of Israeli athletes at the 1972 Olympics in Munich, Germany. Corbyn initially tried to deny being at the cemetery in Tunisia to honor the terrorists, saying he was instead there to acknowledge others killed by an Israeli air strike. He later admitted to being at the ceremony but qualified his participation. "I was present when it was laid, I don't think I was actually involved in it," he said last week. Corbyn's Labour Party has been shrouded in controversy and criticized for keeping Corbyn as leader due to allegations of anti-Semitism. This entry was posted in National Security and tagged Anti-Semitism, Hamas, Terrorism, United Kingdom. Bookmark the permalink.